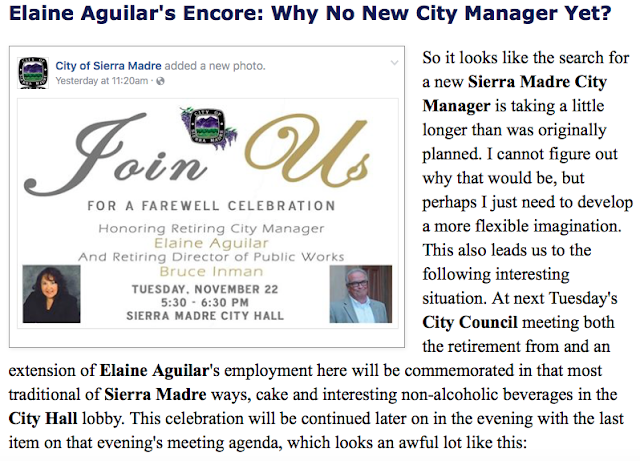 A contentious article recently ran in the Pasadena Star News (link), one that again reinforces the impression many have that certain political suzerainties within the Rose City Rump State really are incredibly out of touch. And the issue, at least in my opinion, isn't so much about undocumented or illegal aliens being allowed to vote in Pasadena Unified school board elections. I am sure there are those from both sides of the question who are deeply concerned about that, but to me it is all fairly irrelevant. There is a much bigger issue that needs to be discussed. As we now know, one of the more stark revelations emerging from the recently enacted "redistricting process" is that just because the local school district has gerrymandered its voting subdistricts along ethnic lines does not mean that anyone from amongst those sheltered zones is more likely to vote. If anything, voter turnout within most subdistricts has remained dismal at best. And while the stated purpose may have been to elect more Hispanic BOE members, so far the only such board candidate to actually get elected under this regimen is from the whitest subdistrict within the Pasadena Unified School District, Sierra Madre. 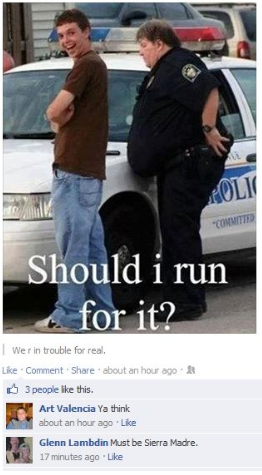 Let me ask you this. If you were an undocumented alien living in the PUSD region, would you really want to risk registering to vote in something as comparatively unimportant as a Board of Education election? Would this seem like a good trade-off to you in the Donald J. Trump era? A time when a president-elect and his racially hostile stooges rant incessantly about deporting millions of, you got it, undocumented aliens? Would you really want to take that chance? Actual citizens of the United States do not bother to vote in Pasadena Unified School District Board of Education elections. How can those who would risk deportation and separation from their families by registering to vote in these elections be expected to take such a risk? Unless this is some sort of an ICE funded voter honey trap, I cannot see why anyone would be advocating for such a thing. Do these people actually believe this would improve voter turnout, or elect new blood to the Board of Education? Are these folks so completely clueless that they would actually put the parents of so many of their students at risk? 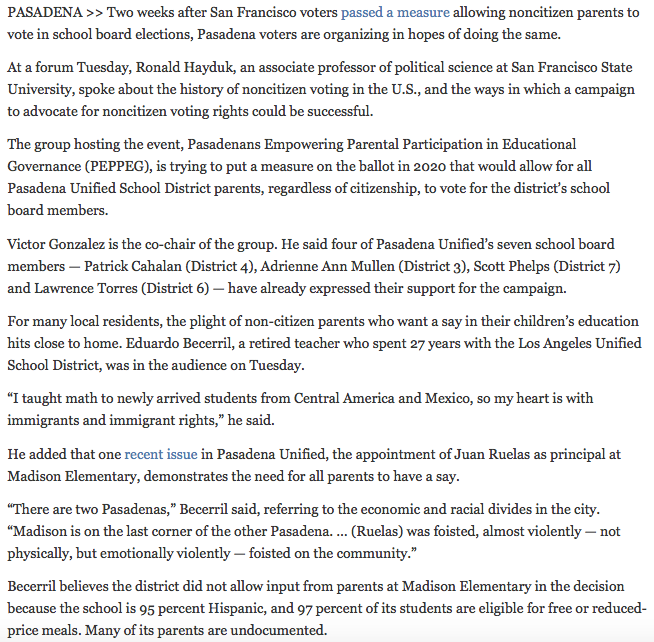 The Star News article is titled "Pasadena group pushing to give voting rights to non-citizen PUSD parents" and can be accessed here (link). Here is a portion of it. News Outlets Rethink Usage of the Term Alt-Right (New York Times link): When The Washington Post published a profile last week of Richard B. Spencer, a prominent leader of the so-called alt-right, readers were quick to respond. By Monday, the article had drawn more than 2,600 comments. Many of them had a similar message. “Please, please stop referring to a white Christian supremacist movement as the ‘alt-right’ — a phrase that sounds like a subgenre of rock music,” one reader wrote. With the election of Donald J. Trump — and his subsequent appointment of Stephen K. Bannon, a former chairman of the right-wing website Breitbart News, as his chief White House strategist — the term alt-right has emerged as a linguistic flash point. 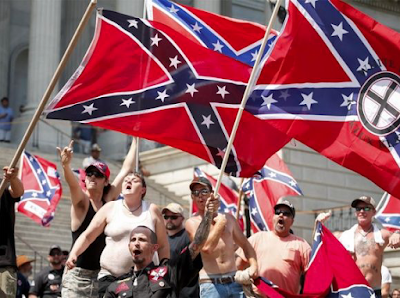 Generally deployed by news organizations to describe a far-right, white nationalist movement known for its aggressive online expression, the term has attracted widespread criticism among those, particularly on the left, who say it euphemizes and legitimizes the ideologies of racism, anti-Semitism, Islamophobia and white supremacy. Mod: The rest of this New York Times article will be available to you by clicking on the link above. The Henry A. 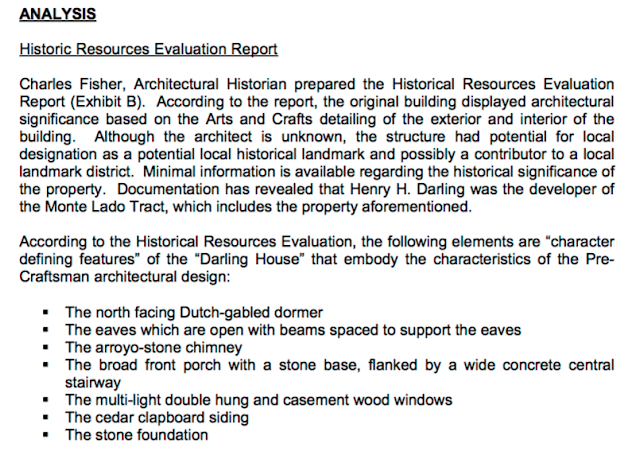 Darling House: A Historical Disclosure? So here is the theory that is currently making the rounds. 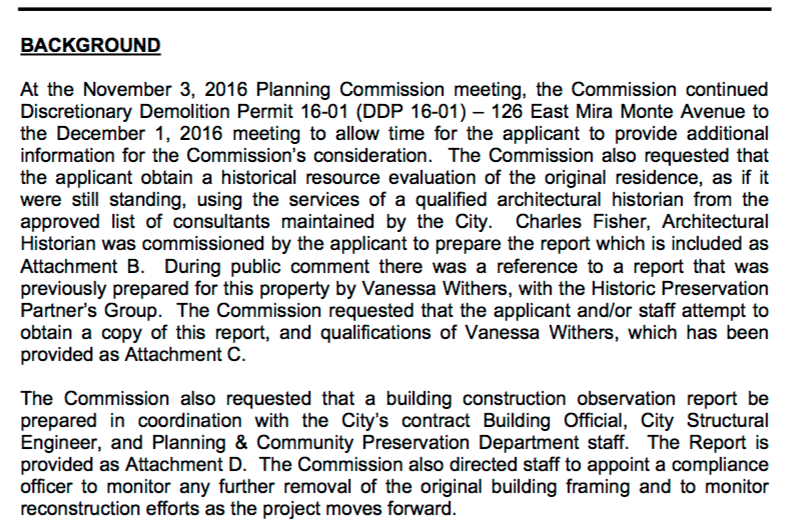 The city approved and apparently now architectural historian of record, a guy named Charles J. Fisher, had been in the Henry A. Darling house before. There was an important purpose for his having been there. The Brown family, who as you might recall were the previous owners of this property, brought Mr. Fisher in to look the place over and do the required historical assessment. 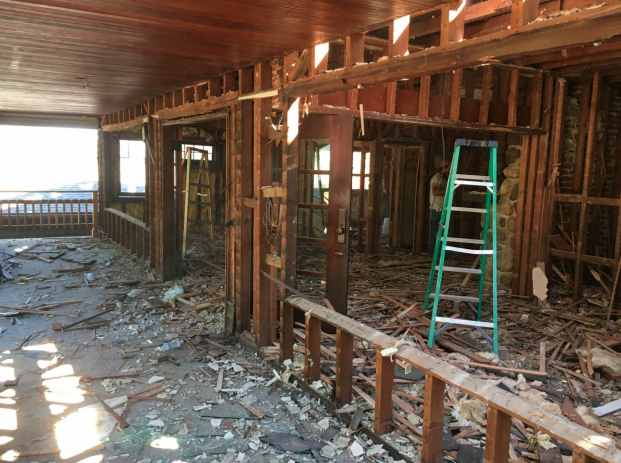 They were concerned the place might actually have some kind of historical significance, and that could have an impact on their plans to demolish this 1907 home and replace it was something current. Oh, and pay for it all by splitting the lot. But that is another story. Fisher, after having carefully looked the place over, told them that yes, the Henry A. 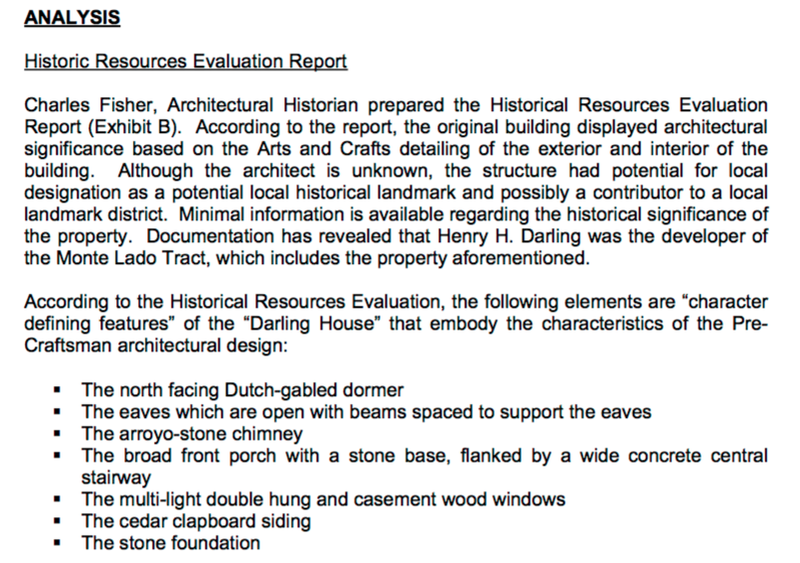 Darling house was a property having some historical significance. And since the Browns, who were apparently not interested in having to come up with the considerable wherewithal it would take to restore the place, changed their minds, abandoned their locally controversial strategy, and sold it. Which brings us to the current owners. The Realtor who assisted in the purchase of this property was Reni Rose. This was true for both the Browns and the Kefalas families. 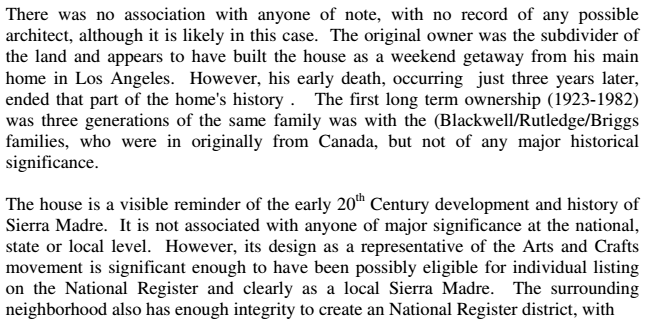 And an important part of her legal responsibilities as a Realtor would have been to disclose the historical significance of the Henry A. Darling house to the Kefalas clan. After all, this was something that would have a considerable effect on how the property could, and most definitely could not, be used. And, as we already know, the Brown's concern about this issue was no secret. They had already bailed out because of it. It is important to note that Charles J. Fisher only wrote his report after having been commissioned to do so by Mr. and Mrs. Kefalas. 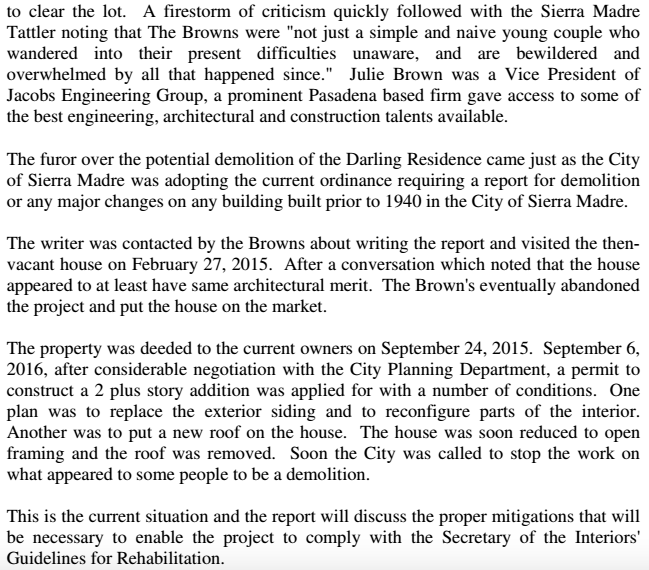 The Browns, who had been given news they did not want to hear by this noted Pasadena architectural historian, never saw the need to hire him to write any reports. They'd already heard enough. This was only done after William Kefalas had been told by the Sierra Madre Planning Commission to do so. Something that may very well become tantamount to having to pay for the rope they will hang him with this coming Thursday evening. So why did Kefalas for all intents and purposes destroy the Henry A. 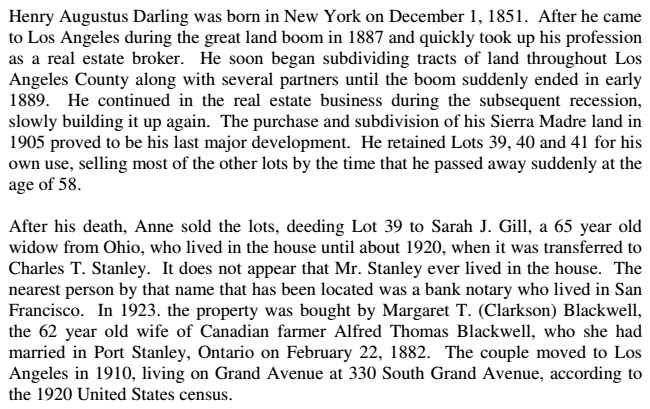 Darling property? Despite having been hopefully made aware of its historical - and therefore legal - significance by his helpful local Realtor, the intriguing Ms. Rose? 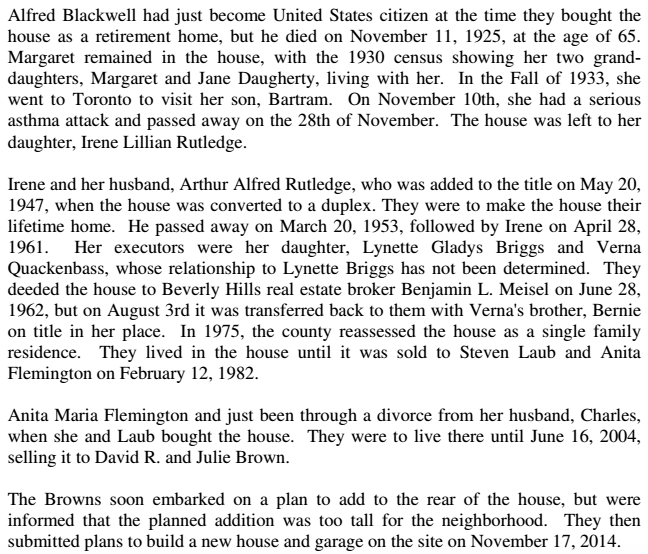 Despite his claims of innocence, I believe Kefalas must have known about this issue because another party had previously made an offer to buy the Darling home from the Brown family, and knew that architectural historian Charles Fisher had visited the home at their request. 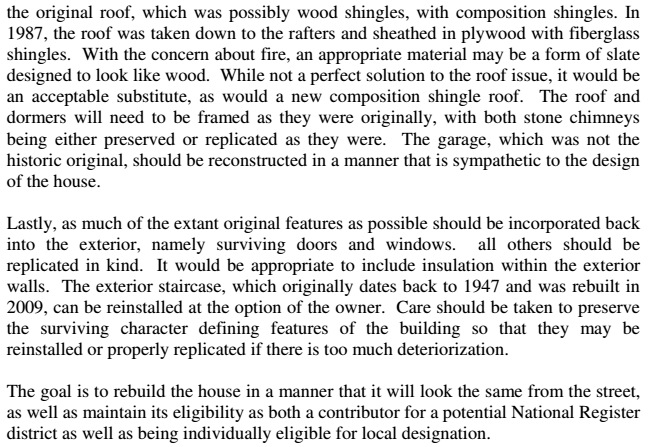 Because this guy was aware that the home would be found to be historically significant, he made a lower offer because ownership and restoration costs would be greater. 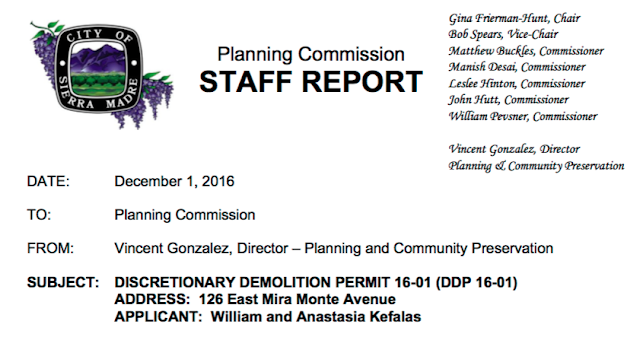 Taking all of that into account, my guess is Kefalas must have believed he could power through any such concerns by quickly destroying this historic house, thereby leaving the city with no other option but to allow him to finish the project as he saw fit. A legally dicey strategy perhaps, but one that has unfortunately worked for others in Sierra Madre. In other words, Kefalas thought he could get away with it. And as of this typing (11/28/16 - 11:43 PM), perhaps he has. Which brings us to an even larger issue. 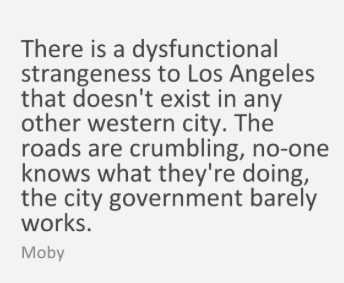 A city that will not defend its laws and codes is not really a city at all. Rather it is merely an organized opportunity for wink and nod backroom deals with unscrupulous local players interested in just one thing, making easy money. 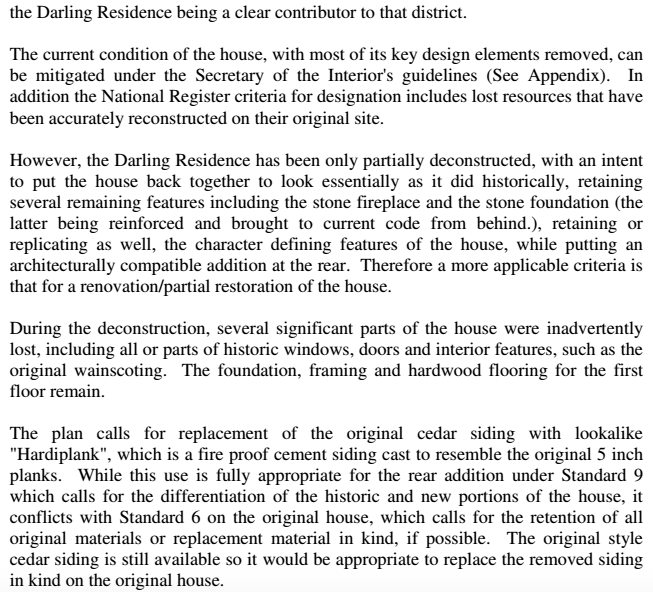 You can write all the General Plans and fine preservationist ordinances you wish, but unless you back them up with significant consequences to those who would so badly abuse this community and its irreplaceable heritage for narrow personal gain, you have achieved absolutely nothing. I cannot give you a link to the Charles J. Fisher report. 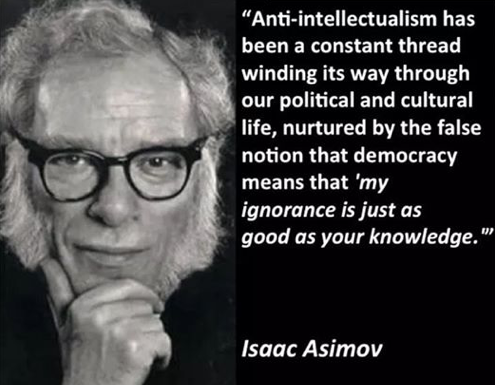 It was forwarded to me by invisible hands and is not, to my knowledge, available on the Internet. But here is a portion of it. And do note the cameo appearance of The Tattler. I'd be lying if I told you I'm not pleased by the mention. Mod: Although the author of the Agenda Report for this item does struggle mightily to not appear to make any conclusions of his own, it does appear that the historical significance of the inappropriately demolished Henry A. Darling home has in fact now been established. All it will take is for the Planning Commission to officially recognize this as fact. Here is some of that report (link). Mod: The rest of this agenda report can be accessed through the link provided above. It would appear that the applicants can now begin looking forward to a difficult evening on December 1st. Mod: There is quite a lot to cover, so let's get right down to it. Shall we? Ahead of recount, Wisconsin has already wiped out 5,000 imaginary Donald Trump votes (Palmer Report link): Earlier today we reported that three precincts in the Wisconsin county of Outagamie had revised their vote totals downward for Donald Trump by more than a thousand votes combined, with local officials insisting to their local ABC News affiliate that it was a mere arithmetic error. But as more revisions come in throughout the state, a total of nearly five thousand Trump votes in Wisconsin have now been taken off the official board because they apparently never existed to begin with. At the end of election night the New York Times reported that Donald Trump had won the state of Wisconsin with a total of 1,409,467 votes, giving him a winning margin of 27,257 votes over Hillary Clinton’s total of 1,382,210. These numbers were based on what the individual counties and precincts were reporting that night. But now seventeen days later, based on various Wisconsin precincts revising their own totals, Dave Wasserman of the respected Cook Political Report has updated the totals. Donald Trump now has 1,404,536 total votes in Wisconsin, while Hillary Clinton now has 1,382,011 total votes. Two things immediately jump out, as first spotted by critic Dave Greenwald. The first is that, even ahead of the forthcoming recount in Wisconsin, Donald Trump’s lead has already shrunk to just 22,525 votes. That means 18% of his “lead” has already vanished, based on precincts catching some of their own incorrect numbers, and internet gawkers catching others. But the second thing that jumps out is that the revisions have served to erase thousands of votes from Trump, while affirming that Clinton’s vote total was essentially correct to begin with. Mod: Wisconsin is the first of three states recounting their presidential votes at the request of the Green Party. If it flips expect all hell to break loose. Michigan and Pennsylvania follow. Clinton Campaign to Participate in Wisconsin, Pennsylvania, Michigan Recounts, Top Lawyer Says (Alternet link): The Clinton campaign will participate in the presidential recounts initiated by the Green Party, its top election lawyer Marc Elias said Saturday, even though the campaign does not expect it to change the results giving Donald Trump an Electoral College majority. Elias, writing on medium.com, gave the campaign’s most detailed post-election accounting of its private inquiries into the possibility that the vote counts were not accurate or had possibly been hacked. They said they had quietly explored all of the avenues they could, including a meeting with the team that filed for the Greens, which led to a leaked story that computer experts were pressuring the Clinton campaign to file for a recount. Elias’ statement said it was the campaign’s duty to see the process through to its end, including being present as recounts unfold in Wisconsin, Pennsylvania and Michigan. On Friday, the Green Party filed for a recount in Wisconsin. There are plans to file for a recount in Pennsylvania starting Monday, which is a county-by-county process, and in Michigan on Wednesday. Elias said they would “participate” in the recount without specifying exactly what that may entail. Mod: Like Jill Stein, the Clinton camp is handling this in a very circumspect way. Their participation at all means they must think there is at least a possibility that this election was hacked. Donald Trump Calls Green Party’s Wisconsin Recount Push A ‘Scam’ (Huffington Post link): U.S. President-elect Donald Trump on Saturday called a request for a recount of votes in Wisconsin a “scam” by the Green Party and said even his Democratic challenger Hillary Clinton had said the election results should be accepted. Stein denied Trump’s claims that funds raised for the recount would be allocated elsewhere. 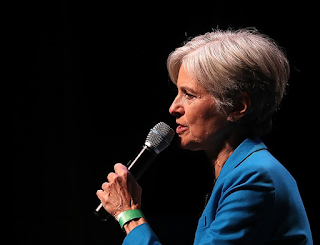 “For his information, this is all going into a dedicated and segregated account so that it can only be spent on the recount,” Stein told CNN on Saturday. Mod: Somebody seems to be worried about something. 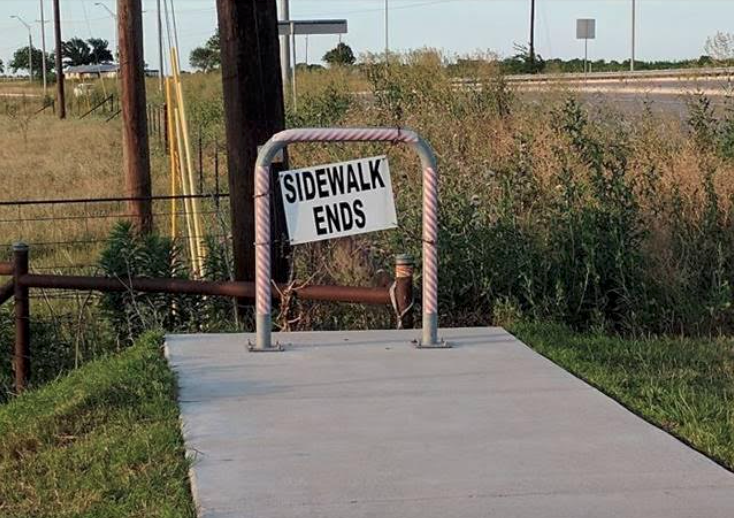 You can only wonder what is going on behind the scenes. Americans keep looking away from the election’s most alarming story (Washington Post link): In assessing Donald Trump’s presidential victory, Americans continue to look away from this election’s most alarming story: the successful effort by a hostile foreign power to manipulate public opinion before the vote. U.S. intelligence agencies determined that the Russian government actively interfered in our elections. Russian state propaganda gave little doubt that this was done to support President-elect Trump, who repeatedly praised Vladimir Putin and excused the Russian president’s foreign aggression and domestic repression. Most significantly, U.S. intelligence agencies have affirmed that the Russian government directed the illegal hacking of private email accounts of the Democratic National Committee and prominent individuals. The emails were then released by WikiLeaks, which has benefited financially from a Russian state propaganda arm, used Russian operatives for security and made clear an intent to harm the candidacy of Hillary Clinton. From the Russian perspective, the success of this operation can hardly be overstated. Mod: I cannot begin to tell you how little respect I have for anyone who fell for this. Letters To California Mosques Praise Donald Trump, Promise Genocide (The Huffington Post link): Religious leaders in California are calling for a police investigation after identical letters were sent to local mosques hailing President-elect Donald Trump and calling for death to Muslims. The San Francisco Bay Area chapter of the Council on American-Islamic Relations (CAIR) released a statement asking for increased protection after the hate-filled letters were discovered at the Islamic centers of Long Beach and Claremont as well as a mosque in San Jose. The handwritten and photocopied letters, received over the course of the week, were signed by “Americans for a Better Way.” They call Muslims “a vile and filthy people” who “worship the devil” and evoke Trump. Mod: What is it about wanna-be Hitlers and their love for Donald Trump? GOP cuts in Medicare may be next after dismantling Obamacare (The Fiscal Times link): The pledge by President-elect Donald Trump and congressional Republicans to "repeal and replace" the Affordable Care Act beginning early next year has dominated the national policy debate since Trump, and the GOP swept to victory in last week's election. With potentially 20 million or more Americans threatened with the disruption or loss of their Obamacare insurance coverage in the coming years, Trump and GOP leaders are coming under mounting pressure to explain precisely how they would replace Obamacare once they pass legislation early next year to dismantle key elements of the program. However, practically overnight the Republicans have substantially raised the stakes in their drive to reform the government health care system and cut costs. House Budget Committee Chair Tom Price (R-GA) told reporters on Thursday that the House GOP will likely push next year for major changes and cuts in Medicare, the premier health care program for 57 million seniors that has been the bedrock of retirees' health coverage since the mid-1960s. Mod: Some so-called "Patriots" are going to be mightily surprised when their government funded medical benefits such as Medicare are suddenly taken away. 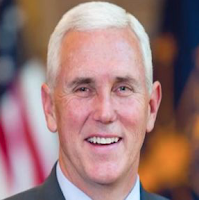 Irony Is Dead: Mike Pence Goes To Court To Block His Emails From Being Released To Public (IfYouOnlyNews.com link): Until recently, Mike Pence was known as the governor whose hatred towards gay people burned so hot that he lost his state of Indiana millions of dollars in business in order to legalize the discrimination of the LGBT community. Now he’s known as the future vice president. In the aftermath of the shocking election results, pundits have cited Hillary Clinton’s email “scandal” as one explanation as to why she lost. 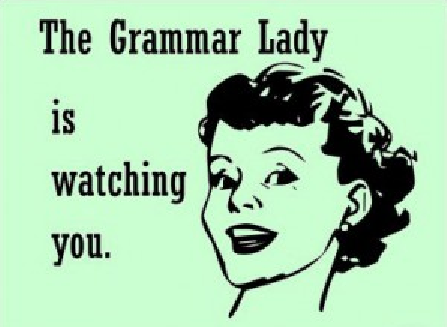 (Whether it ever truly existed is another question.) Thanks to her private email server, voters viewed her with suspicion and distrust. 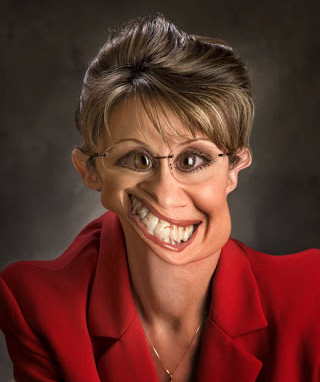 She appeared to be a politician with something to hide. Trump himself suggested he might throw her in jail over her emails once he became president. Enter Mike Pence, whose lawyers have launched a battle to prevent his own inconvenient emails from ever being made public. That distant wailing you just heard was irony dying. The Pence administration email in question was in regards to Pence going behind the backs of the Indiana government to hire a private lawfirm to help him file a frivolous lawsuit against President Obama as a publicity stunt. The total expense of this stunt has never been made public. Democrats in the state were hoping to learn more about this government waste by analyzing Pence’s emails surrounding the decision. Instead, they hit a brick wall built by Pence’s lawyers. Mod: The man known as the "Human Q-Tip" does seem to have a certain flair for self-immolating hypocrisy. 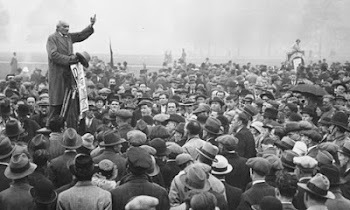 Ann Coulter: It's 1928 All Over Again! (Crooks And Liars link): Boy, is Ann Coulter dumb. In addition to having her facts wrong, does she really want to point to the start of the Great Depression as the last time Republicans held the White House, the House and the Senate? Really? Just for the record, Republicans had all three from 2002-2007. And more to the point, when they held all three from 2002-2007, the Great Recession happened. You see a pattern here? If I were Ann Coulter, I wouldn't be trumpeting those associations. Mod: I'm not too sure that Herbert Hoover would be pleased by this, either. Made in the shape of a miniature red hat like the one Trump wore at numerous rallies, the ornament is advertised as brass with gold trim and sells for $149. Purchases constitute non-refundable contributions to a Trump fundraising committee, as well as the Republican National Committee. Like Trump himself, the ornament has sparked widely divergent reactions. The reviews section on retailer Amazon.com instantly became a forum for people to register their feelings about the president-elect, his policies and persona. “Every time I try to hang it on the branch, it yells 'WRONG!' No matter which branch I try, it's 'WRONG! '” a reviewer wrote. “I woke up and there was a wall around my tree,” another wrote. “Millions of Americans and I ordered the 'Stronger Together' ornament. Imagine our disappointment when this is what we got,” another wrote. 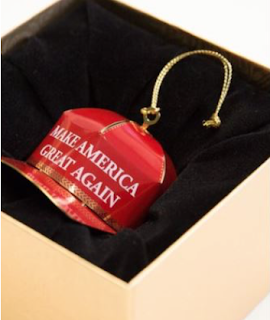 “Let's make America great again ornament has liberals in the corner sucking their thumbs holding onto a blankie. My ornament is proudly displayed on my Christmas tree where we say, God Bless America and Merry Christmas,” said another reviewer. “This is a great ornament! So excited to ring in a new year with Mr. Trump and Mr. Pence at the helm! God Bless America,” a reviewer posted. “Unfortunately this has turned out to be as disappointingly and frustratingly repugnant as the BREXIT ornament,” another posted. “Of course, like most things bearing the Trump name, this was mass produced in China,” a reviewer posted. Mod: I'm not surprised about the "Made In China" origin of such tackiness. There isn't much that Donald Trump (Я -Moscow) won't do to make an easy buck. Mod: I have no idea how they came up with that date since originally it had been much earlier, but apparently if you want to throw your hat into the ring you'll need to do so by next Wednesday. 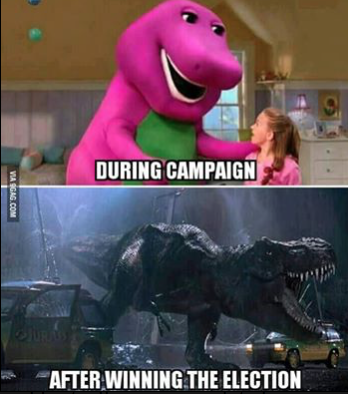 Unless they don't get the candidate they want, at which time I assume the end date will have to be pushed out once again. 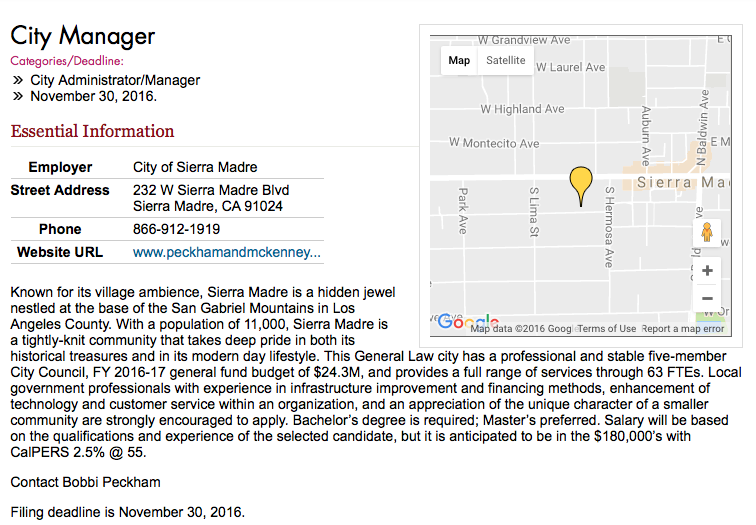 Here is how hard working consultant Bobbi Peckham has posted up both the City Manager job and the City of Sierra Madre on the Western Cities website, which is an appendage of the preternaturally annoying League of California Cities. 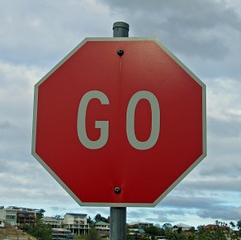 Should you choose to do so, link here. 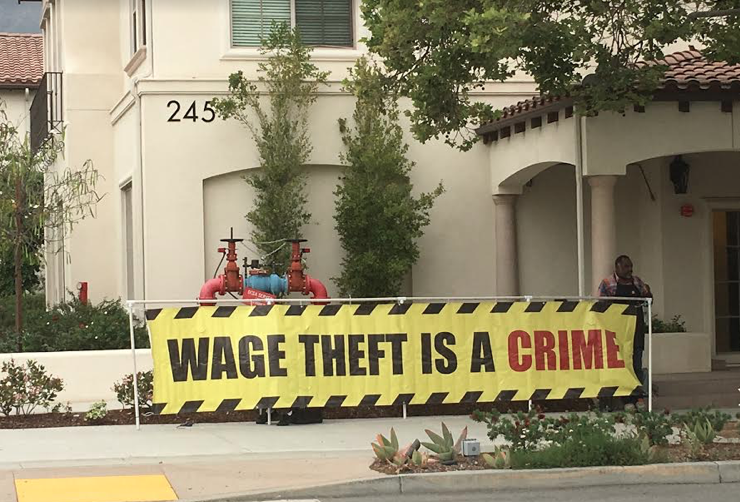 Mod: That $180,000 salary is interesting since Elaine Aguilar, after years of exemplary and dedicated service (or at least that is what the City Council that shoved her out the door said last Tuesday evening), made a mere $157,237.04 in 2015 according to Transparent California (link). Of course, there are benefits and CalPERS to figure in as well. There is also this. 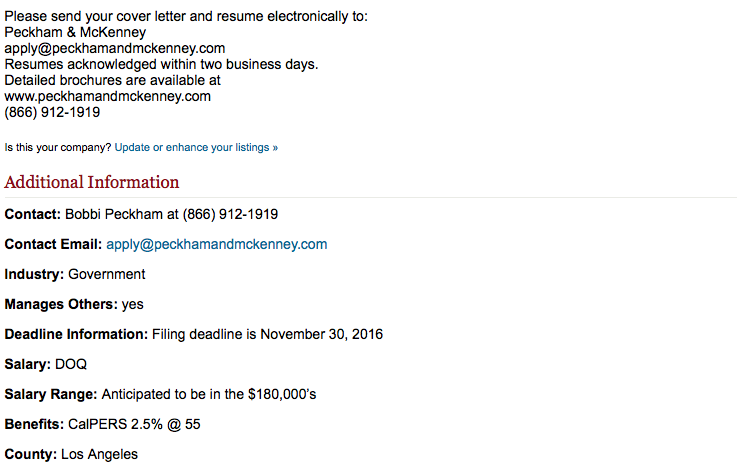 If you go to the consultant's own recruiting site (link), you will see how they are trying to sell this job to potential applicants. Take a deep breath, be sure to read between the lines, and note the part where they say you are going to need a sense of humor. Be certain to note the sentence I've highlighted below in Wistaria mauve. When did the City Council ever admit to further tax increases? Like maybe never? Wasn't the UUT increase supposed to handle all of that kind of stuff? Nicknamed the “Village of the Foothills,” the City of Sierra Madre is nestled at the base of the San Gabriel Mountains in Los Angeles County. 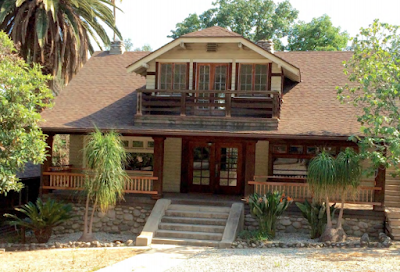 It is centrally located between Pasadena and Arcadia and 13 miles northeast of Los Angeles. Sierra Madre is primarily a residential community with a small business district, encompassing 3.1 square miles, with approximately 11,000 residents. Known for its village ambience, Sierra Madre is a hidden jewel with serene neighborhoods, scenic views, and green space. At its heart is the City’s charming downtown shopping district, a popular destination for visitors and residents. Restaurants, cafes, boutique shops, and art galleries line the streets around the town center. Sierra Madre is a tightly knit community that takes deep pride in both its historical treasures and in its modern-day lifestyle. 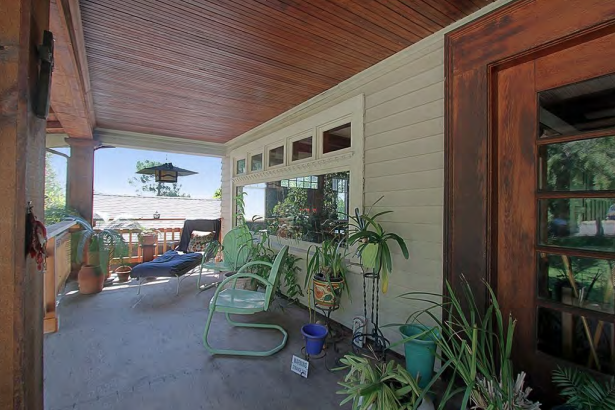 Sierra Madre is a built-out community with only a few parcels available for new development. As a result, the population has remained relatively unchanged for the last three decades. The community has no direct freeway access and no traffic signals, but this seclusion has only enhanced the community attractiveness as a desirable housing market. One of the key qualities that defines the City’s unique character is the diversity of the housing stock, ranging from apartments and condominiums to Victorian homes, California bungalows, traditional Craftsman, and ranch style homes. 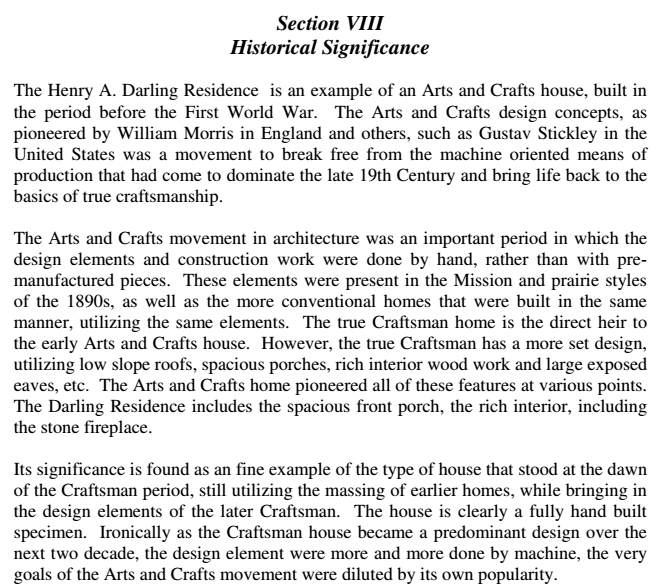 Over 40 percent of the homes are more than 50 years old, many of which are listed as historical landmarks. Sierra Madre’s ideal climate entices residents to take advantage of the numerous recreational opportunities and programs offered by the City at its six parks, aquatics center, Community Recreation Center, Youth Activity Center, and the Hart Park House – Senior Center. The City also provides cultural and historical awareness through the Lizzie’s Trail Inn Museum, Richardson Historical House, and the Sierra Madre Public Library’s Local History Collection. 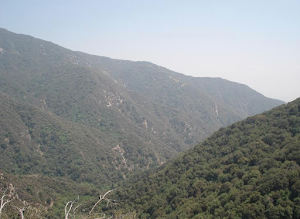 Outdoor enthusiasts are drawn to Bailey Canyon Wilderness Area, as well as the Mount Wilson Trail, where historic trails lead hikers and runners into the expanse of the Angeles National Forest. Sierra Madre is often thought of as an artists’ colony due to the high concentration of artists, designers, and people working in media. There are numerous galleries, art festivals, shows, as well as artwork on display at various businesses. The Sierra Madre Playhouse offers live family entertainment and has been selected “Best Live Theater” twice by voters of the Pasadena Weekly. 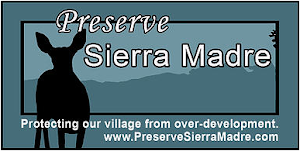 Sierra Madre is home to many special events, including the Summer Concert Series, the Friends of the Library Art Fair, the Fourth of July celebration, and the annual Wisteria Vine Festival, which attracts thousands each year to see the world’s largest blooming vine planted over a century ago. Named an All-America City by the National Civic League in 2007, Sierra Madre is a picturesque, safe, and friendly town and easily one of the finest communities in Southern California. Incorporated in 1907, the City of Sierra Madre is a General Law City and operates under the Council/Manager form of government. Legislative authority is vested in a five-member City Council elected at large for four-year terms. At April 2016 election, two of the incumbent Councilmembers were reelected in an unopposed race. The next election for three Council seats is in April 2018. The Council is responsible for general City policy, as well as for the appointment of the City Manager, City Attorney, and members of the City’s five citizen commissions. It also serves as the governing body for the Successor Agency and Public Financing Authority. The Mayor is selected by the members of the City Council each April and serves as the ceremonial head of the City Council. City voters also elect a City Clerk and a City Treasurer each serving for a four-year term. The City provides a full range of services to its citizens through 63 full-time employees. 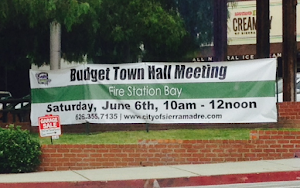 These services include: police, fire, emergency medical, street construction and maintenance, water (Sierra Madre is a retail water supplier, both producing and distributing water) and sewer utility, parks, recreational, Library, cultural and social, planning, building and safety, economic development, environmental and general administrative services. The current City Manager will be retiring in December along with the Police Chief and Public Works Director. 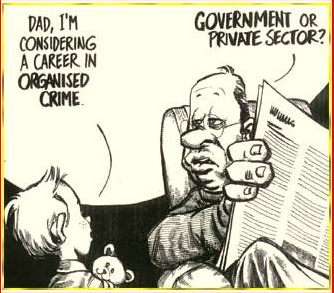 The timing is not indicative of any organizational turmoil but rather, the decades each has worked in public service. The City’s Assistant City Manager position is also currently vacant. The FY 2016-2017 Budget is $24.3 million. The General Fund Budget is $10.8 million. In April 2016, voters approved the Utility User Tax Rate (UUT), which is the second largest General Fund Revenue source after property taxes. It is anticipated that due to increasing costs, deferred maintenance and necessary infrastructure improvements, additional future revenue sources will be necessary. This opportunity is available with the upcoming retirement of Elaine Aguilar, who has served as City Manager since 2007. In discussions with the Mayor and City Council, executive team, and community members, the following profile of the ideal City Manager candidate was developed. Serving as the CEO of the city organization, the City Manager will be a visionary leader who will establish trust and credibility within the community, set the tone and course for the organization and provide clear recommendations and counsel. The City Manager will communicate regularly with the community, providing project updates as well as information on current and future issues and challenges. It is expected that the City Manager will serve as a spokesperson and advocate for the City and will be accessible and available to community residents. The City Manager will feel comfortable engaging with residents on a regular basis. Most importantly, the City Manager will have a respect and appreciation for the community’s unique small-town character and heritage. The ideal candidate will bring a hands-on, team-oriented approach to the delivery of services in a highly engaged community. The City Manager will support and coach the City’s team of professionals, enhance its can-do culture and customer service mentality, and expect accountability throughout the organization. The City Manager will be prepared to roll up her/his sleeves and bring proven leadership experience as well as a solid understanding of municipal operations and budgets. In addition, experience with projects relating to technological enhancements, infrastructure improvement, deferred maintenance, and financing methods is strongly desired. The City Manager will be accessible, having an open door and an engaged and calm demeanor as well as a sense of humor. 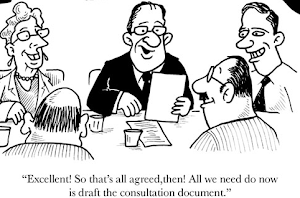 An ability to effectively and transparently communicate with the Council, staff, and citizens is essential, as is the ability to take problems head-on and suggest innovative solutions. The ideal candidate brings proven, hands-on supervisory and management experience in a local government setting. Familiarity with and/or knowledge of municipal finance/budgeting, infrastructure and capital improvements is desirable, but candidates with generalist experience are strongly encouraged to apply. A Bachelor’s degree from an accredited college or university with major course work in public administration, business administration, or a related field is required. Mod: Just in case you are not waiting on a long line for $89 dollar television sets at Wal*Mart this morning, we have a few follow-up stories for you. The first deals with the Green Party and its now successful efforts to fund presidential election vote recounts in the states of Wisconsin, Michigan and Pennsylvania. 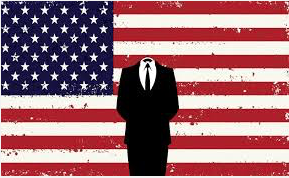 Three places of interest that some experts believe may have been hacked by as yet unknown parties on November 8, thereby undeservedly awarding the election to Donald Trump. Current popular vote totals show that Hillary Clinton won the election by over two million ballots, with millions more yet to be counted. Many of them here in California. Jill Stein nears $4.5M goal to fund key-state recounts (USA Today link): Green Party presidential nominee Jill Stein finished a distant fourth in the popular vote in the Nov. 8 election, but she is moving, after the fact, to play a role in the outcome. Stein's campaign says it has raised enough money to pay for a recount of the presidential vote in Wisconsin, one of a number of states that surprisingly helped Republican Donald Trump win the election. According to the Wisconsin Elections Commission, a lawyer for Stein's campaign has already told the commission it will formally request a recount by Friday's deadline. Moreover, the Stein campaign is continuing to raise money to pay for recounts in two other crucial states: Pennsylvania, where the deadline is Monday, and Michigan, where the deadline is Wednesday. Trump won all three states. Stein can request the recounts by virtue of having been a candidate in the election, where she finished behind Trump, Democrat Hillary Clinton and Libertarian Gary Johnson in the popular vote. However, she must bear the costs which, in Wisconsin alone, could approach $1 million. "Election integrity experts have independently identified Michigan, Pennsylvania and Wisconsin as states where 'statistical anomalies' raised concerns. ... 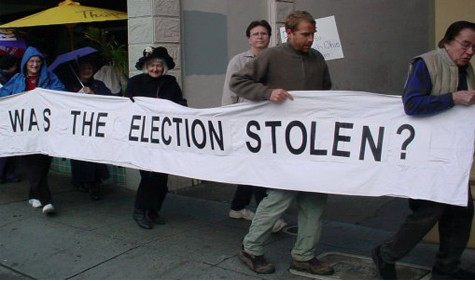 These recounts are part of an election integrity movement to attempt to shine a light on just how untrustworthy the U.S. election system is." Mod: The following is the Sierra Madre Weekly's report on a potential hate crime in Sierra Madre. While the Sierra Madre Police Department's Detective Henry Amos continues to investigate this matter, no conclusions have yet to be reached. 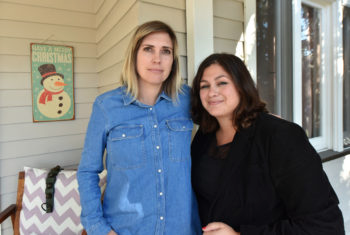 Sierra Madre Gay Couple’s Car Vandalized (Sierra Madre Weekly link): Candice and Crystal Czubernat purchased a home on west Highland in Sierra Madre two years ago with the hope of bringing up their 2-year old twins in a peaceful city where everyone gets respect no matter what their sexual preference may be. 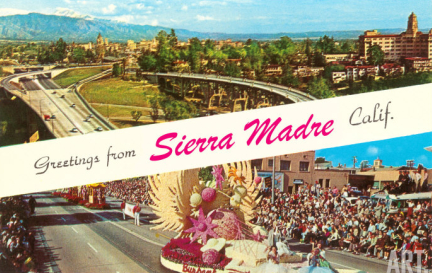 The tiny city of Sierra Madre has been known for years as progressive and tolerant. However now, the Czubernats feel they have been targeted and have experienced a post-election hate crime. “We are one of the very few gay families in our town. We purchased a property two years ago in hopes of raising our young family in a safe community. Until recently, we have lived in that safe space. After the election, we led our 2- year-old twins in creating signs that signified our love and acceptance of all people. 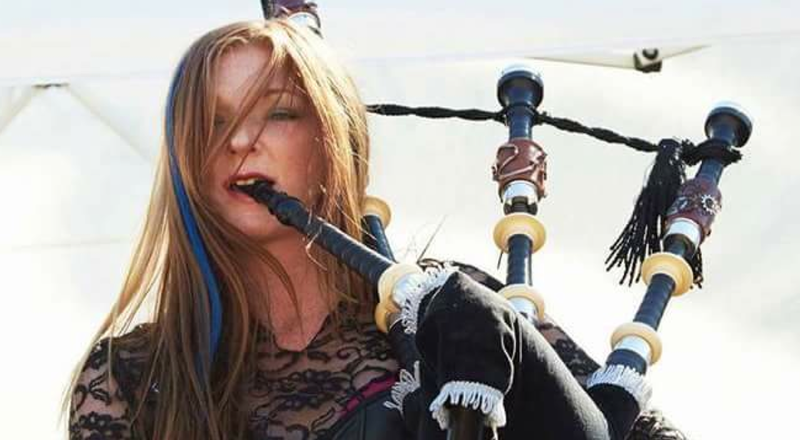 We did this in order to teach our kids about advocacy, standing up for the oppressed and how each person’s voice deserves to be heard,” Crystal Czubernat said. The Czubernat’s were advised [by SMPD] while there is no immediate evidence of a hate crime – it may have been an adolescent prank. However, the couple believes they were targeted as a result of putting the signs on their porch which incited a negative reaction. 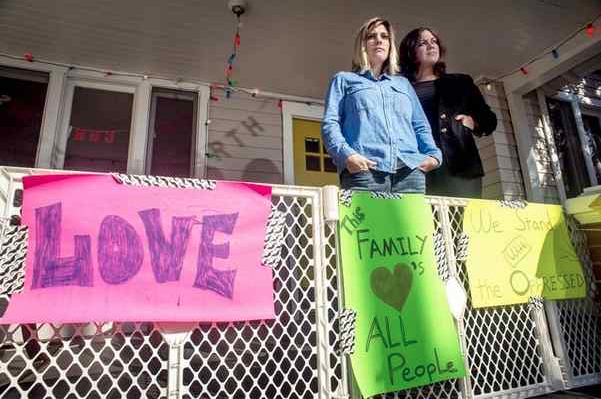 While no one was hurt in the incident, Candice and Crystal Czubernat’s family and friends want them to take the signs down. However, with mixed feelings the couple believes it’s imperative to not be beaten by hatred and therefore the signs will remain. The police have put on extra patrols in the area since the incident and the city cleaned up the street outside their home. The couple hopes that other neighbors in Sierra Madre stand strong and not give in to what they judge as a hate crime. They ask that other couples who believe as they do also take a stand against oppression. Ivanka Trump once said: "If he wasn't my father, I would spray him with Mace" (Mic.com link): The president-elect has been known to say disgusting things about his daughter, most notably, that he'd be interested in dating her if he wasn't her father. A newly uncovered quote from a 2006 Chicago Tribune piece revealed Donald Trump's eldest daughter, Ivanka, is definitely creeped out by her dad. Writer Sarah Kendzior found and tweeted a screenshot of the piece on Thursday, in which Ivanka says: "If he wasn't my father, I would spray him with Mace." The piece goes on to say Ivanka's statement was in response to "her father complimenting her figure." 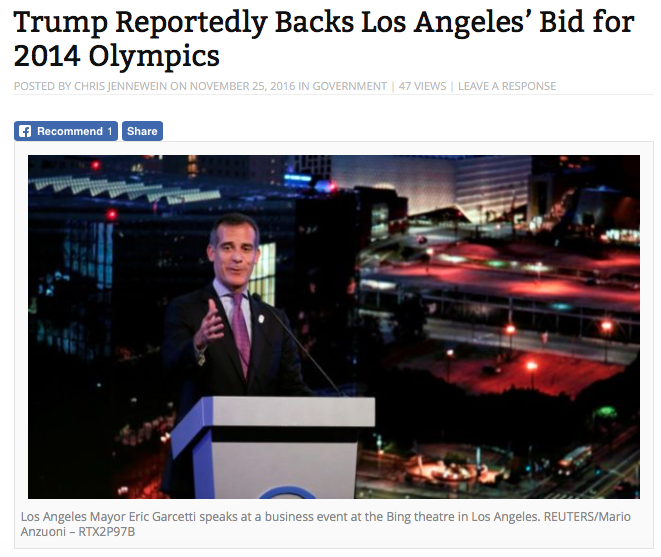 MyNewsLA.com apparently believes that Donald Trump is a time traveller. Mod: Remember before the election when there was considerable talk about Trump's pals in Russia hacking into America's vulnerable electronic voting systems and stealing the election for their favorite bottled blond? And how the results could then be changed to favor the candidate that they wanted to win? Well, evidence is now emerging that shows that just such a thing might have actually happened. Clinton's popular vote lead is now at 2 million, and people are asking questions. America needs to put the real winner in the White House. Election results may have been hacked in three swing states Trump won, activists want Clinton to seek recount (New York Daily News link): A prominent group of election lawyers and computer scientists said presidential election results in three swing states that Donald Trump won may have been manipulated or hacked, and are pressing Hillary Clinton to seek a recount, according to a report. The group held a conference call last week with Clinton's top campaign lieutenants and lobbied for a challenge after finding something fishy in Wisconsin, Michigan, and Pennsylvania, according to New York Magazine. Members of the group told the Clinton camp that in Wisconsin, Clinton's vote count was down 7% in counties that relied on electronic voting machines when compared with counties that used optical scanners and paper ballots, the magazine said. A statistical analysis showed that under those circumstances, Clinton may have been denied as many as 30,000 votes. Clinton lost the state — and its 10 Electoral College votes by 27,000 votes. Wisconsin's metropolitan areas, where Clinton did well, use paper ballots. Rural Wisconsin, where she did not, relies on electronic machines. Current tallies put Trump's Electoral College toll at 290 to Clinton's 232, a count that does not include Michigan's 16 vote because that contest was too close to call. If the die-hards could successfully challenge Michigan and Wisconsin, that would bring Clinton's total to 258. Add the 20 electoral votes from Pennsylvania, if those results are successfully challenged, and Trump goes back to being a private citizen. The deadlines to challenge in those states are all next week, but it was unclear if the campaign plans to call for a recount. The magazine said the Obama administration is against a recount because it wants a smooth transition. Mod: I, on the other hand, would like to find out who really did win this election. It is time for a recount in those three states. I hope it happens. Mod: But it isn't Clinton that is doing it. Rather it is Jill Stein from the Green Party that has raised the needed cash and is filing with the three states in question. Going where Clinton fears to tread? Green Party's Jill Stein Raises Millions for Election Recount (NBC News link): Green Party nominee Jill Stein appeared to have met her initial fundraising goal early Thursday for recounts of the vote in three key swing states that went to Donald Trump — Michigan, Pennsylvania and Wisconsin. Hillary Clinton's Popular Vote Lead Now Over Two Million (NBC News link): As additional votes have been counted in the presidential election, especially on the West Coast, Hillary Clinton's national popular-vote lead over Donald Trump now exceeds 2 million votes, according to an ongoing tally by the Cook Political Report's David Wasserman. Hillary Clinton's vote total is 64,223,986 (48.1% of the vote), while Trump's is 62,206,395 (46.6%) - a difference of 2,017,591 votes (1.5%). Mod: Things are about to get very interesting. Have a Happy Thanksgiving! 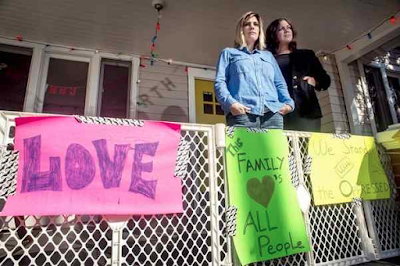 Pasadena Star News: Was this Sierra Madre lesbian couple the target of a hate crime? 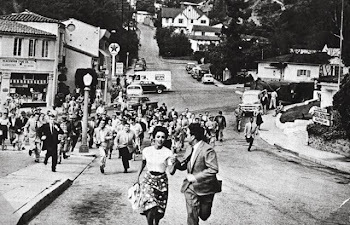 Mod: Has the Alt-Right movement to make America great again for bigots now reared its ugly head in Sierra Madre? 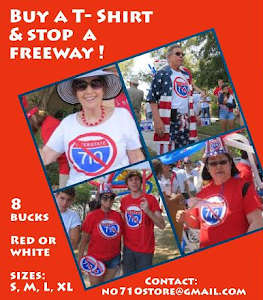 This from today's edition of the Pasadena Star News. As a lesbian couple, parents Crystal and Candice Czubernat wanted to show their 2-year-old twins that they have a voice, and it can be one of love in the face of potential persecution. But on Monday, the family found one of their cars vandalized, with a tire slashed and eggs thrown at it, leaving them stunned. Sierra Madre Police have not characterized the act of vandalism as a hate crime, but said as the investigation progresses that designation could change, said Det. Henry Amos. Still, the Czubernats say the attack was too specific to be a coincidence. The family has lived in Sierra Madre for almost two years and had never faced any antagonism until the handmade posters went up, Crystal Czubernat said. After hearing from the Czubernats on Monday night, Mayor Pro Tem Rachelle Arizmendi responded via email Tuesday morning to express sympathy and to say she was hopeful the vandalism was simply an unrelated prank. Mod: Full Pasadena Star News article available at the link provided above. Planned Parenthood has received more than 50,000 donations in Mike Pence’s name (New York Daily News link): Planned Parenthood supporters are chipping in a pretty penny at the Vice President-elect’s ex-Pence. The women’s health organization has received more than 50,000 individual donations in pro-life Indiana Gov. Mike Pence’s name since the election, a rep from the nonprofit confirmed to the Daily News on Tuesday. The donations in protest of the Republican’s longtime crusade to defund Planned Parenthood and restrict women’s access to abortion make up about a quarter of those gifted since Election Day. A grassroots movement — informing online activists that they could have certificates of donation sent straight to Pence’s Indiana State House address — proliferated on social media last week, gaining traction from celebs like Amy Schumer and Amber Tamblyn. “We’ll see Roe vs. Wade consigned to the ash heap of history where it belongs,” Pence said in July, according to the Los Angeles Times. 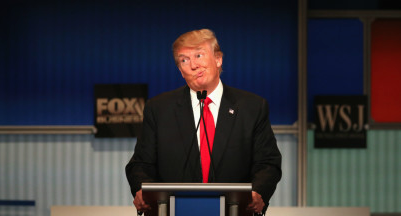 Mod: Apparently abortion is not the only issue Donald Trump has flipped on. Donald Trump Drops Threat of New Hillary Clinton Investigation (New York Times link): President-elect Donald J. Trump said on Tuesday that he had no intention of pressing for an investigation into Hillary Clinton’s use of a private email server or the financial operations of her family’s foundation, dropping the “lock her up” pledge that became a rallying cry for his campaign for the White House. Mr. Trump, who branded his rival “Crooked Hillary” and said she would go to jail if he were president, said in an interview with reporters and editors at The New York Times that he was no longer interested in pursuing Mrs. Clinton, in part because he wanted to heal the wounds of a divisive campaign. His reversal on prosecuting Mrs. Clinton was particularly striking given the outsize role the issue played during the presidential campaign, in which her use of a private email server as secretary of state became a prominent theme, and one she has blamed for her loss to Mr. Trump. Mr. Trump said he wanted to “move forward” from the subject. 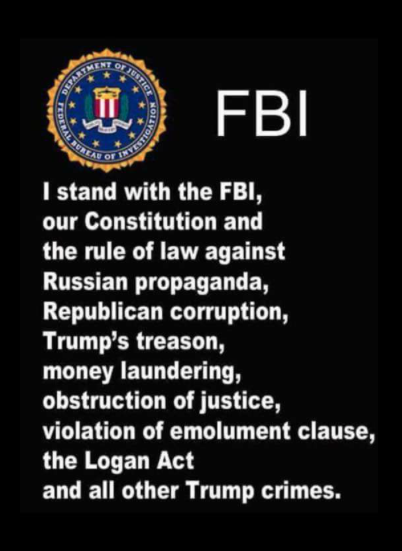 Without elaborating, he said that “we’ll have people that do things,” perhaps a reference to the F.B.I. 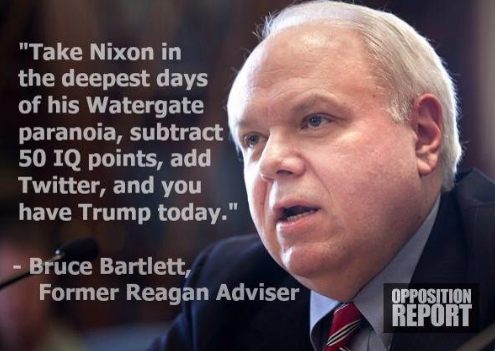 or Republicans who might continue to press for prosecutions in the email or foundation cases. But the president-elect made clear that he would not seek to pursue an investigation himself nor make it a priority after he assumes office. The decision angered some of his most fervent supporters, who immediately criticized his seeming change of heart. “Broken Promise,” blared the headline on Breitbart News, a conservative news site that has strongly backed Mr. Trump. Mod: Poor Trumpies. They're not going to get their Soviet-style political show trial after all. And apparently they are livid with rage. Breitbart is really mad at Donald Trump for his “broken promise” to pursue criminal charges against Hillary Clinton (Salon link): The chants of “Lock her up” were a familiar refrain at Donald Trump’s campaign rallies, as his right-wing demanded to see criminal charges against former secretary of state Hillary Clinton for her use of a private email server. 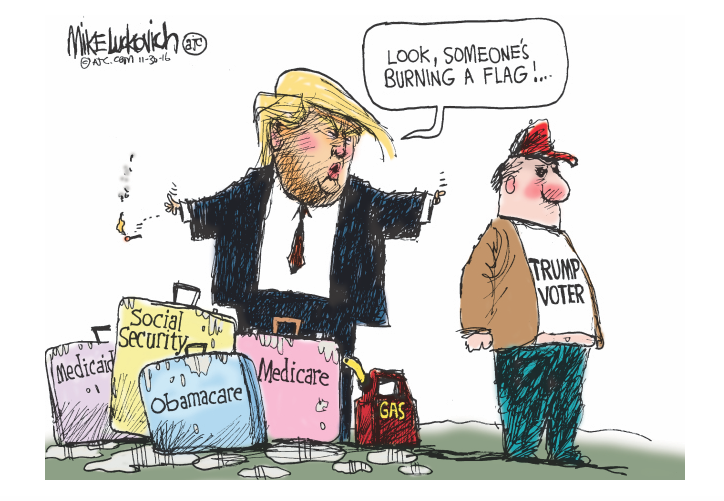 But now that Trump’s defeated his opponent and is set to take the White House, in an apparent shock even to himself, he is already signaling that he fully intends to break that campaign pledge. This is not going over well with the base. Despite its former executive chairman, Steve Bannon, serving as CEO of Trump’s campaign and recently being named as a senior advisor in his White House, Breitbart finally broke away from its unwavering support to slam Trump’s sudden change of heart. “President-elect Trump should focus on healing the broken justice system, affirm the rule of law and appoint a special prosecutor to investigate the Clinton scandals,” the statement read. Mod: These people need to realize that Donald Trump has far more important things to do. Like kiss up to the very same Wall Street oligarchy he ran against. Which, as you might have noticed, is doing quite well lately. Funny how things can change. Rather than "draining the swamp," it is becoming increasingly clear that the incoming Trump administration actually is the swamp. Meet the guy Trump's Chief Strategist Steve Bannon called "a leading intellectual." Neo-Nazi 'alt-right' crowd cheers the president-elect with 'Hail Trump' (Los Angeles Times link): A newly released video shows a room full of people doing the Hitler salute and yelling "Hail Trump!" after listening to a speech about white nationalism that invokes Nazi terminology. 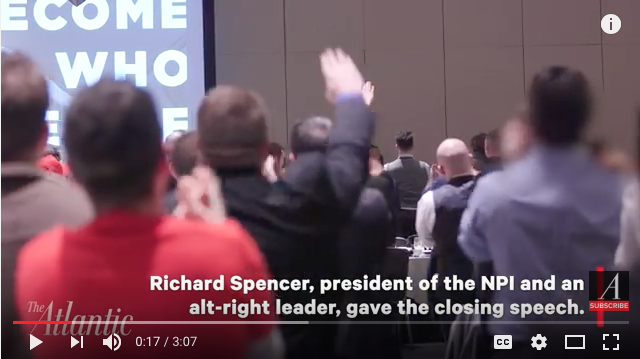 The video was taken over the weekend by a reporter for The Atlantic while working on a documentary about Richard Spencer. Spencer is the person speaking in the video. He runs the National Policy Institute, a self-described "alt-right" think tank that openly supports white nationalist and neo-Nazi policies. In the past, he has called for a "peaceful ethnic cleansing" of the United States. In the video, Spencer calls the media "leftists" and "cucks," invoking popular "alt-right" insults for people they disagree with. 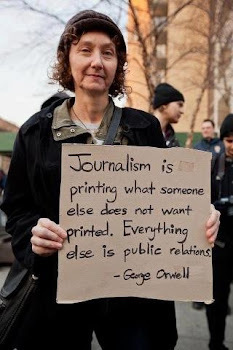 He calls the media the "Lügenpresse," which is what the original Nazi Party called the media in Germany – the "lying press." "We don't exploit other groups," he says, the "we" referring explicitly to white people. "We don't gain anything from their presence." "The press has clearly decided to double-down and wage war against the legitimacy of Trump and the continued existence of white America," he continues. "But they are really opening up the door for us.... America was, until this past generation, a white country, designed for ourselves and our posterity. It is our creation, it is our inheritance, and it belongs to us." Members of the crowd give the Nazi salute throughout the speech. Mod: The rest of this LA Times article is linked above. You can find the entire meeting agenda by clicking here. As far as I can tell the only potential for fireworks this evening is with the last item, which looks like this on the agenda. On Saturday the 19th we posted the following article, which I still think gets it right. Apparently the search for a new City Manager is not progressing as quickly as once hoped, and Elaine Aguilar is going to be held over in an interim capacity for at least the next three months. With this item the necessary legal, financial and CalPERS considerations will be finalized by a vote of the City Council. Mod: Click here for the rest. 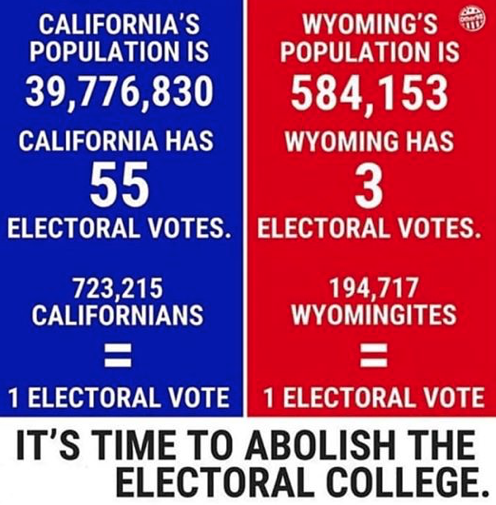 Mod: The following account comes from a website called Electoral Vote.com, which you can link to by clicking here. Pence Attends "Hamilton," Controversy Ensues (link): Vice President-Elect Mike Pence decided to enjoy the spoils of office a little bit, taking in the hit Broadway show "Hamilton" on Friday from premium seats near the stage. The crowd booed Pence when he arrived, until being coaxed into stopping by the cast. We sir, we are the diverse America who are alarmed and anxious that your new administration will not protect us, our planet, our children, our parents or defend us and uphold our inalienable rights, sir. We truly hope this show has inspired you to uphold our American values and work on behalf of all of us. 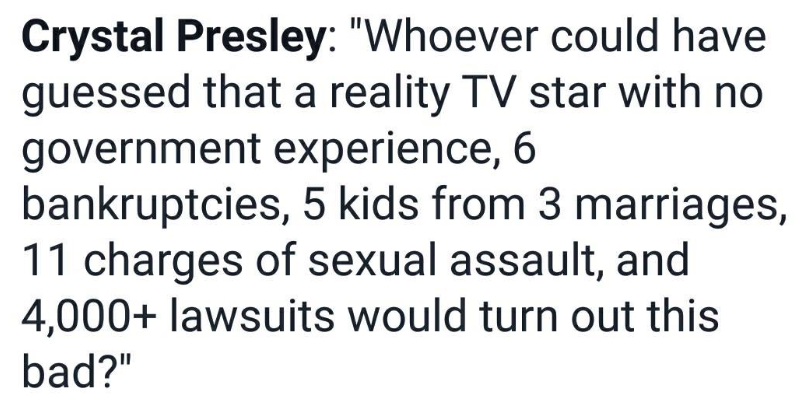 This brings to mind a number of thoughts. To start, anyone who believed Donald Trump when he said he would be weaning himself off of Twitter was clearly delusional. Second, Trump may have attended many plays in his time, but he has a shaky grasp on how the theater works. The stage belongs to the performers, who are (largely) free to do with it as they please (just as audience members are free to leave). This often includes material that is not "safe" (see, for example, "Raisin in the Sun" or "Hair" or "Rent"). Finally, if Trump is going to respond to every slight against himself or the members of his administration, he's going to have a very busy four years. Will this serve to endear him to his base? 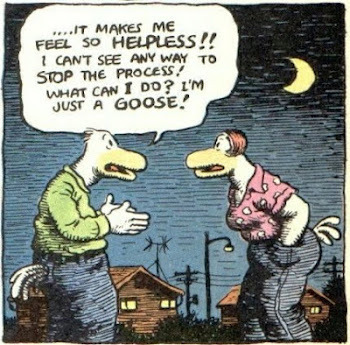 Or will it grow tiresome, even to them? Odds are good that we're going to find out. Trump Wants ‘Hamilton’ To Apologize. 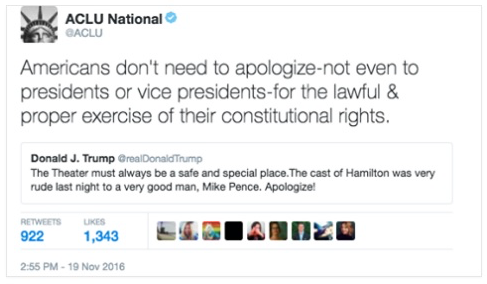 Here’s The ACLU’s Viral Response (Occupy Democrats link): Donald Trump has demanded that the cast of Hamilton apologize to Mike Pence for politely asking that he represent all of America’s citizens, no matter their race, sexuality, or religion. That was interpreted as an attack by our hypersensitive president-elect, who railed against the actors and actresses in an unhinged Twitter rant. The American Civil Liberties Union, however, had something to say about it. Donald Trump, America’s abusive boyfriend, has made a shameful habit of bullying anyone who dares to speak against him. With schoolyard put-downs and flagrant lies, he successfully gaslit perceived rivals into submission during the election campaign. But he will find that as president, he will have a much harder time squashing the voices of the millions of Americans who will rise up to oppose him and his primitive brand of ethno-nationalist fascism. 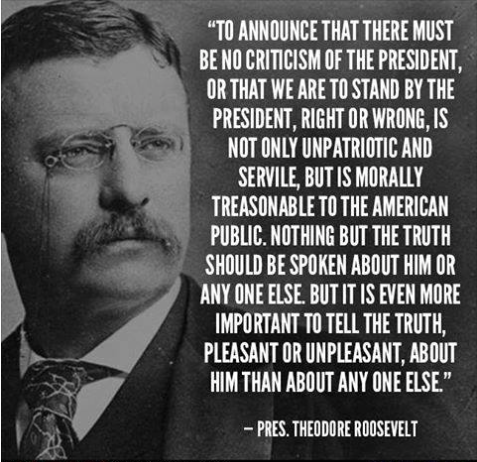 The First Amendment of the Constitution is one of the few things still held sacred in this country, and if he thinks he’s going to use to powers of his office to silence dissent, he will find himself impeached rather quickly. 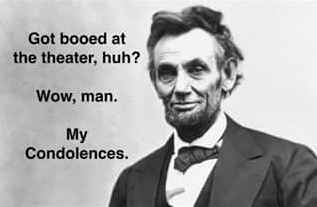 His tirade against the Hamilton cast shows that he is disgracefully unfit to lead this nation, and for him to clutch his pearls in offense at their legitimate plea to Mike Pence is the height of hypocrisy. He is, after all, the man who insulted literally hundreds of different people, places, and things over the past year and a half. Mod: Alt-knuckleheads like to claim that California is some sort of dysfunctional locale that would rapidly sink into the ocean if it wasn't for the generosity of such places as, say, Kansas. Nothing, of course, could be further from the truth. California is the 6th largest economy on the face of the earth (link), and those parasitic wastelands known as the "Red States" would dry up and blow away if it wasn't for all of the Federal taxes we pay here. 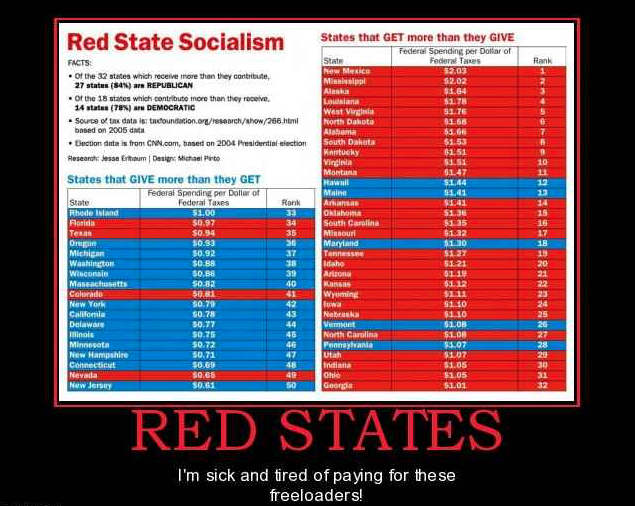 Talk about a Marxist redistribution of wealth, we really are supporting a loafer class of empty and unproductive states. The website CultureCheatSheet, with the assistance of WalletHub, has done a survey of the worst offending states, and the following is what they have uncovered. 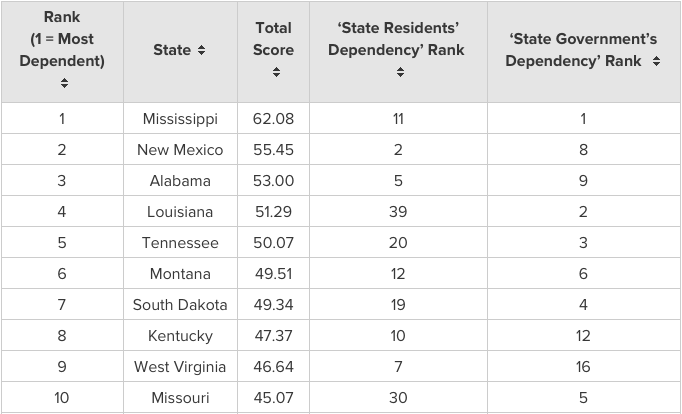 10 States Most Dependent on the Federal Government (CultureCheatSheet link): Self-sufficiency is an American ideal, and one that many people take great care to achieve, and pride in attaining. It isn’t easy, though, and there are many factors at play. It’s not simply a calculation of who has the most money or best skill set — although that plays a part in it. Resources simply aren’t always distributed equally. And even if you look at which states themselves are the richest or poorest, you’re not getting a complete picture. The true genius of America’s political organization lies partially within the way the states and the federal government form a cohesive bond. Essentially, the states themselves act as individual laboratories, all separate and able to take self-direction and action, yet all tied together under a unified central government. Individuals in each city, county and state are free to elect their own representatives, whether to local governmental bodies or federal ones. In this way, we are all able to get a glimpse into how competing ideologies or methodologies for governance work for different groups of people in different situations, and cherry pick from a variety of different perspectives. As a result, each state has a certain amount of natural competition with its counterparts. States compete with each other in order to attract businesses and investment dollars, for example, or to attract students to their universities. However, given the major demographic, economic, political, and geographical differences between different states, some carry unique burdens while others have unique advantages. Border states, for example, are much more concerned with immigration policies than central states are, and Gulf Coast states are much more concerned with the health and viability of the Gulf of Mexico than those located in the northeast, who may be more concerned about political tensions with Europe and Canada. Because of differences like these, as well as differences in policy and fiscal decisions, states depend on support from the federal government to vastly different degrees. WalletHub recently released its annual study looking at federal dependency and assumed the burden of digging into the data to find out definitively which states lean the most-heavily on Uncle Sam for support. Mod: Here are the Top 10 tax scrounger states. 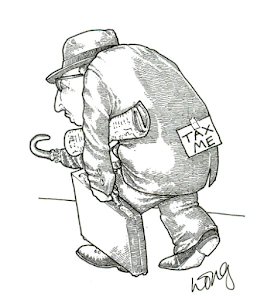 Mod: So how can we get these tax mooching bums off of our backs? #CalExit: The California Secession Movement is real, and could work (Mashable link): As is the case in so many other parts of America, thousands of California residents are protesting the 2016 election results. The difference? Their frustration has swelled into support for perhaps the ultimate solution to the Golden State's strong distaste for president-elect Donald Trump—secession. The idea of a #Calexit blew up on Twitter right after Trump's win. It started as a series of jokes—Tweets about the state's best-known exports, of sorts (from Apple devices to weed), along with maps and memes showing what an independent California would look like. 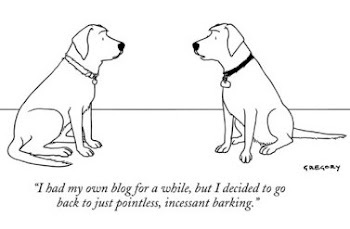 It wasn't long before a mere wave of social media output coalesced into something more. A group leading the movement toward state independence, Yes California, grew from some 1,500 members to around 12,000 after Trump's win, its president Louis Marinelli told Mashable. It might sound like an extreme, reactive mode of thinking, but the reality is that every state has tried seceding at some point, mostly through petitions to the White House. But the probability of any kind of modern-day state secession actually happening is incredibly low. There's no set process for breaking away from the beloved union, as the part of the Constitution that explains how a state can join never explains how it can leave. But: it's actually sort of, kind of, possible. The Golden State's opposition to Trump has been made clear via the thousands who protested in the streets of San Francisco and Los Angeles. The morning after election night, even some of the state's top lawmakers said they felt like a Trump presidency just didn't mesh with California values. "Today, we woke up feeling like strangers in a foreign land, because yesterday Americans expressed their views on a pluralistic and democratic society that are clearly inconsistent with the values of the people of California," California Senate President Kevin de Leon and Assembly Speaker Anthony Rendon said in a joint statement. "We have never been more proud to be Californians." They added that the state would continue being a "refuge of justice and opportunity for people of all walks, talks, ages and aspirations – regardless of how you look, where you live, what language you speak, or who you love." Mod: The remainder of the two articles cited above can be read by clicking on the links provided. Measure M: "Classic Pay To Pay Politics"